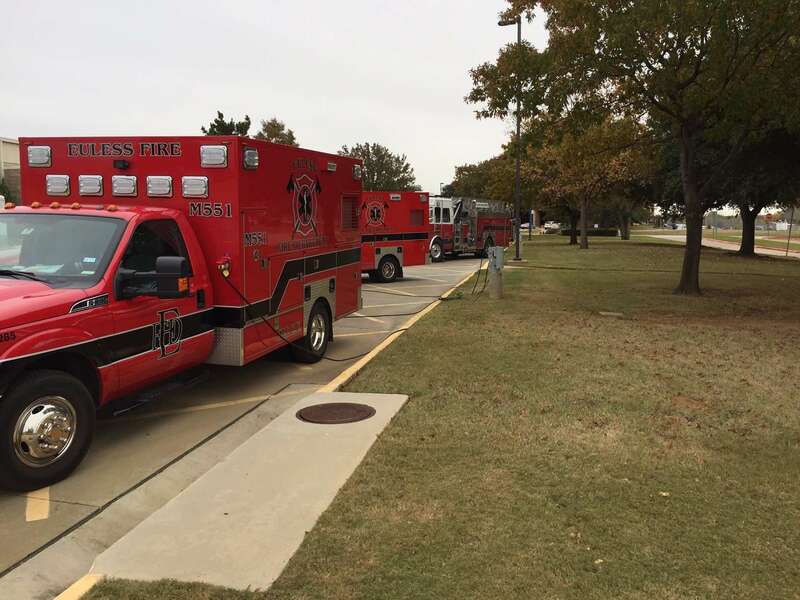 City of Euless, Texas ambulances are plugging in to avoid costs like wasted fuel and excessive emissions. 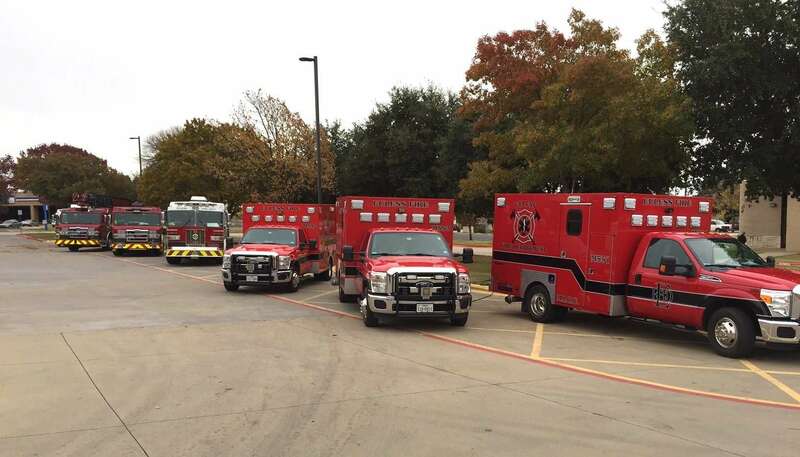 When attending the multiple weekly training sessions at their remote training facility, the City of Euless Fire Department was forced to keep their vehicles idling onsite to sustain power and temperature regulation for medicines, computers and equipment for immediate use, resulting in many avoidable costs such as wasted fuel and excessive emissions. 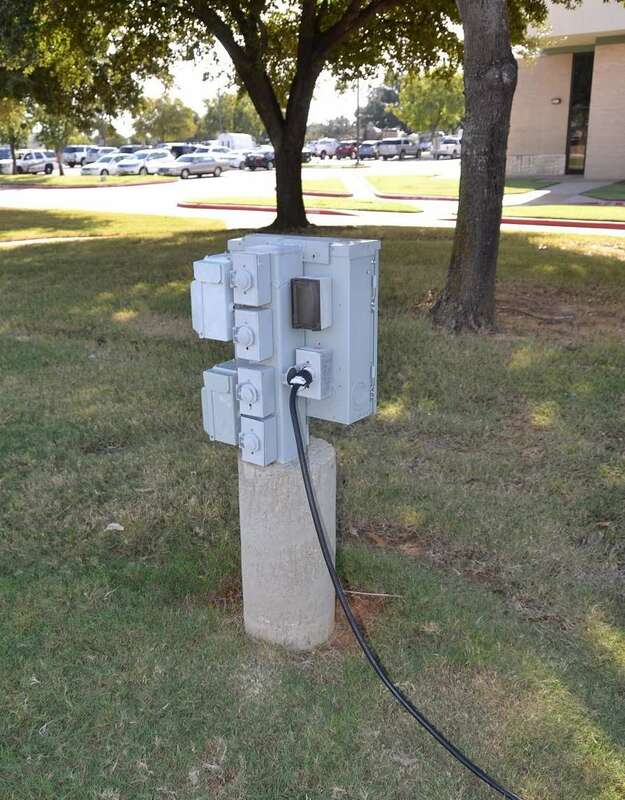 In 2008 and 2010, two electrification poles were installed to provide wayside power for ambulances and fire trucks when parked at this remote training facility to negate the need to idle when attending training sessions. When in use, each pole allows for multiple vehicles to be plugged in at once and sustains temperature and power regulation, all while the engines remain off. With each vehicle utilizing the poles on average of 15-18 hours a week, the city estimates approximately 20,301 hours of idle reduction for the Fire Department since their initial installation. As a relatively inexpensive technology to install, for $3,772 and $6,040 respectively, this idle reduction strategy has proven its success with the monetary benefits of reduced fuel use from idling, allowing for a quick return on investment. One of the electrification units with its many outlets for connecting the ambulances. The City of Euless has been a long-time Dallas-Fort Worth Clean Cities (DFWCC) stakeholder. Due to their commitment to reducing petroleum consumption through this and other projects, the city has been recognized by DFWCC as a Silver Level Outstanding Fleet. Another view of the many ambulances that plug in to reduce costs and emissions, and ultimately be a more efficient fleet. 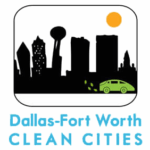 Dallas-Fort Worth Clean Cities is a locally-based, public/private partnership that seeks to advance energy security, protect environmental and public health, and stimulate economic development by promoting practices and decisions to reduce petroleum consumption and improve air quality, primarily in the transportation sector. Our goals are to facilitate the deployment of alternative fuel vehicles (AFVs) to support the installation of an alternative fuel refueling infrastructure throughout the DFW Metroplex, increase the use of fuel blends (i.e. 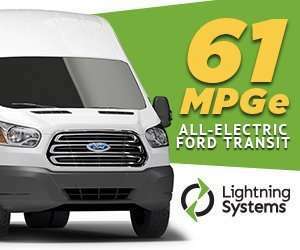 diesel/biodiesel & ethanol/gasoline), accelerate sales of hybrid electric vehicles, promote informed consumer choice on fuel economy, and encourage the use of idle reduction technologies for heavy-duty trucks and other vehicles.